The Class of 2012 Berkshire Permaculture Garden was our second garden, generously funded by the Class of 2012 Senior Class Gift Fund. This site was an exciting new challenge, as it showed signs of intense compaction, erosion, and nutrient depletion in the soils. 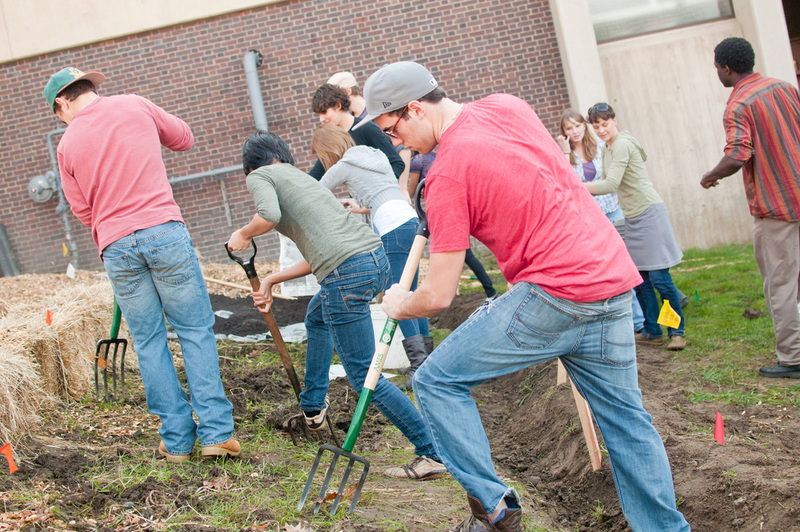 We were excited about the opportunity to demonstrate the regenerative capacity of permaculture landscaping. In one year, we transformed this neglected site in terrible condition into an ecological haven with rich, fertile soil and high species biodiversity. The garden covers 1/10th of an acre next to the Berkshire Dining Commons. 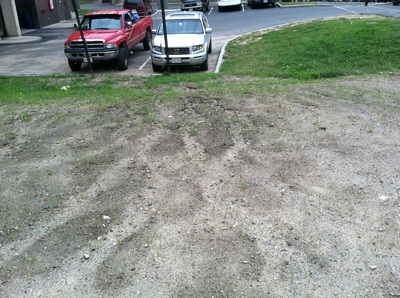 Located in the Southwest residential area, this space had recently undergone major construction, serving as a temporary parking area for trucks and large machinery– causing severe soil compaction. Further observation showed us that this sloped garden site has experienced deep erosion caused by runoff water from the concrete walkways down into the Berkshire loading dock. Put simply, this site was going to be a challenge. However, in a permaculture frame of mind, “the problem is the solution.” Meaning, with every design challenge, therein lies an opportunity. 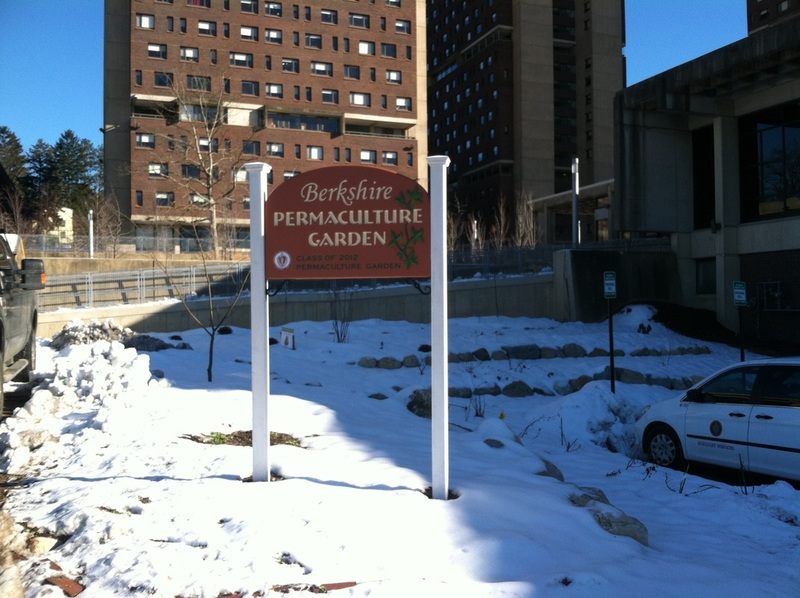 We viewed this challenge as a way to demonstrate the healing power of permaculture design. 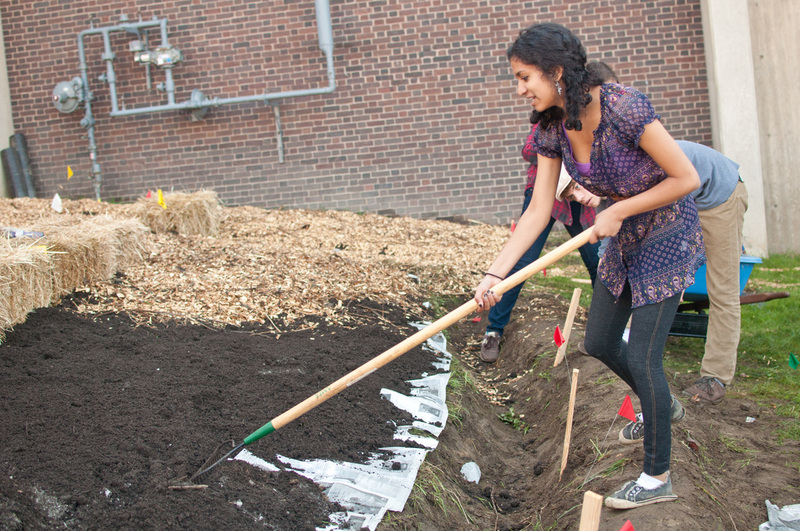 If we could mend the soil and grow food on this site, we could grow food just about anywhere. 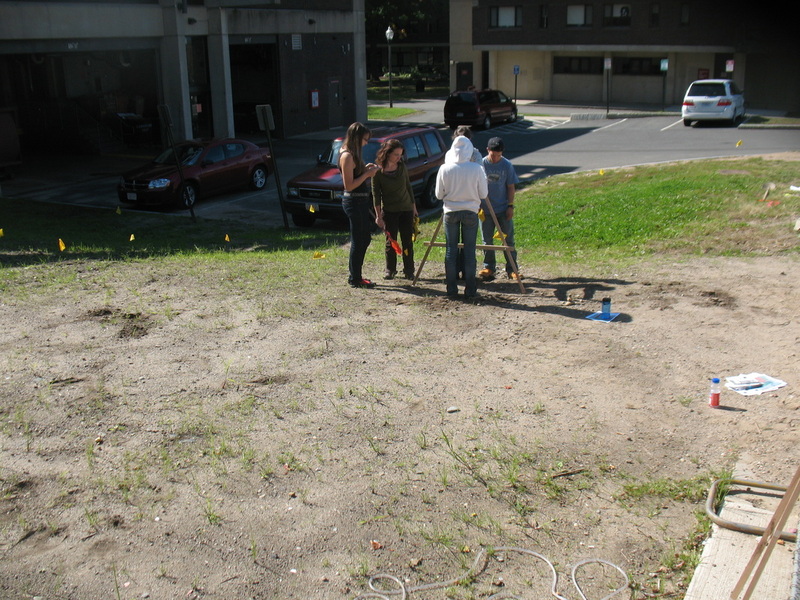 The UMass Permaculture Committee organized a series of sheet mulch work days in the fall semester of 2011 to aerate and mend the soil. In just a few short weeks, we were able to penetrate the compact soil and add some much-needed compost and soil amendments. By distributing surveys to students, the Committee gathered community input and feedback for the final design. In the end, we decided to include design elements to mitigate erosion. By digging swales and berms which catch and store water on a slope, we could allow water to move across the slope rather than down it. We also installed retaining walls using small boulders to create a terracing effect in the garden. Come springtime, we found that the soil was much easier to work with, and we began planting in April of 2012. Every year, UMass's Annual Fund organizes a Senior Class Gift to leave a lasting legacy on the UMass Campus. Past gifts have included scholarships, or fun projects on campus like the Juice Bar in our new Recreation Center. 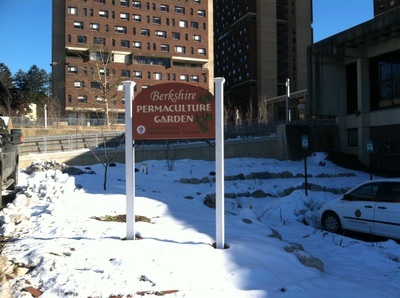 For 2012, the Senior Class Gift voted to fund the Berkshire Permaculture Garden! 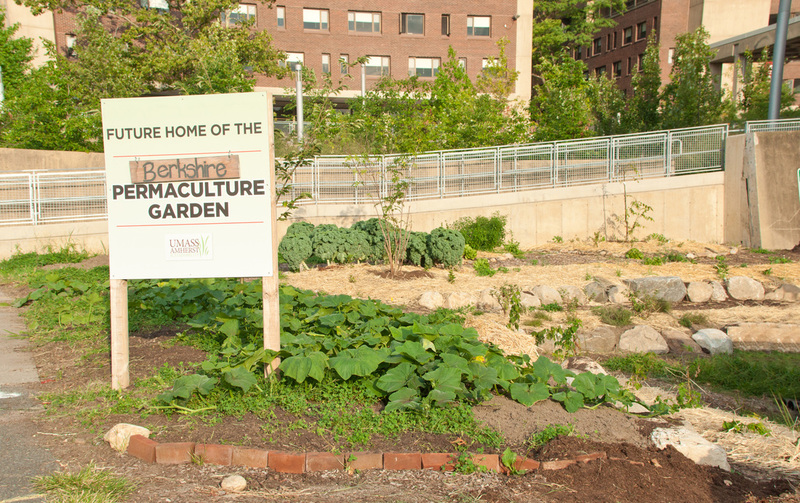 In honor of this gift, we renamed the garden the Class of 2012 Permaculture Garden, in dedication to the graduating class and their thoughtful gift. Thank you, Class of 2012! We couldn’t have done this without your support. 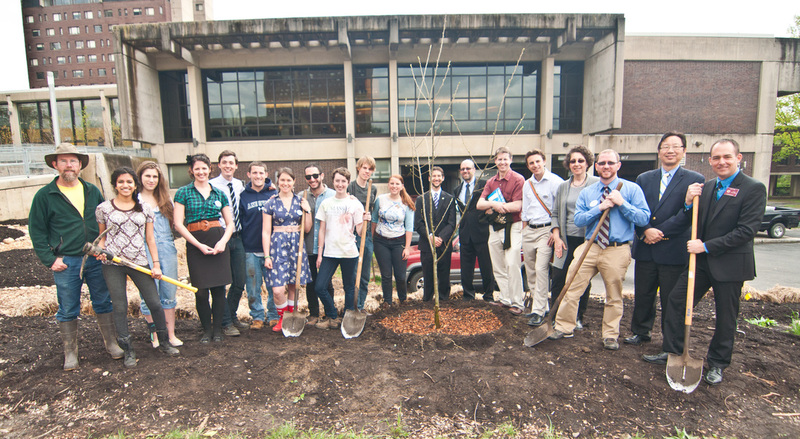 The senior class tree was planted in the Class of 2012 Permaculture Garden at the Dedication Ceremony and Earth Day celebrations in April 2012.